Do you remember the last morning you woke up rested and energized, springing out of bed eager to face the day? We’ve all had them; we’ve also had those mornings where the underside of the cover looks like a good place to stay until the sun goes down again. Lots of things contribute to that. For me, the key is knowing my strengths, acknowledging my challenges, and listening to myself holistically several times throughout the day. I call it checking in, and it usually comes in the form of breathing intentionally or another form of meditation that helps me stop and take stock of what’s going on with me. It takes mere minutes, but is a very powerful tool. 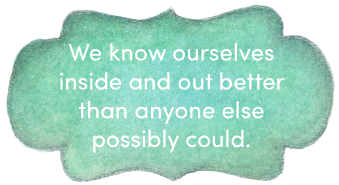 We know ourselves inside and out better than anyone else possibly could, because we live in our own bodies 24/7. It makes sense to me that we are best equipped to determine what’s best for us, and to listen to our own alarms when we feel something’s off. There are so many tools available that have no side effects, no label warnings, are freely available, and allow us to use the power of our own self-knowledge (i.e., help us utilize what’s inherent in all of us) to find things that help us define our own sense of “wellness” unique to each of us. And no one can—or has the right to—define it for you. No matter what our challenges, physiologically or otherwise, no matter how involved we might be with healthcare personnel, we still have the right and ability to make our own choices. I have a family member who has certain rituals in the morning that involve oil pulling, exercises, bone broth with other good stuff mixed in for breakfast, and journaling. These are things that physically, mentally, and spiritually feed her. It’s her personal blueprint. The actions may change to adjust to life, but the foundation is there. She recently unlocked a simple thing to help with anxiety, and that was adding more protein to her diet. Who knew? She did, because she kept exploring. A friend of mine who has a very high-stress job gets up every morning, looks in the mirror, makes a series of very silly faces until he makes himself laugh, tells himself genuinely, “I love you,” and this sets his day. There is no telling what far-reaching positive effects this has on his entire being, and it doesn’t matter. It works for him. It’s a vital part of his personal blueprint. There are no rules, no best practices, no “gurus” with answers about how we navigate our own wellness paths. They’re always changing, because we’re always changing. Sounds kind of fun, doesn’t it? The links below are resources you can view as a buffet table where you can choose what appeals to you. EFT has been around for decades and has its roots in Traditional Chinese Medicine’s meridian system, focusing on certain points. It helps us explore where we’re “stuck” and helps us “unstick” ourselves, whether it’s a negative thought, a fear, anxiety, etc. I’ve been practicing for decades off and on, and keep coming back to it. It’s not a magic trick, and again, does not harm you in any way, and I’ve had great success with it, for me, for past clients, even for my dog. That’s right. I have a high-strung rescue dog who responds phenomenally well to surrogate tapping. This is a simple technique and you don’t have to be exact with it. Simple is powerful. I’m pointing you to Gary Craig’s site because he’s the founder, and he shows you the “old school” way of tapping, which I find myself going back to more often. 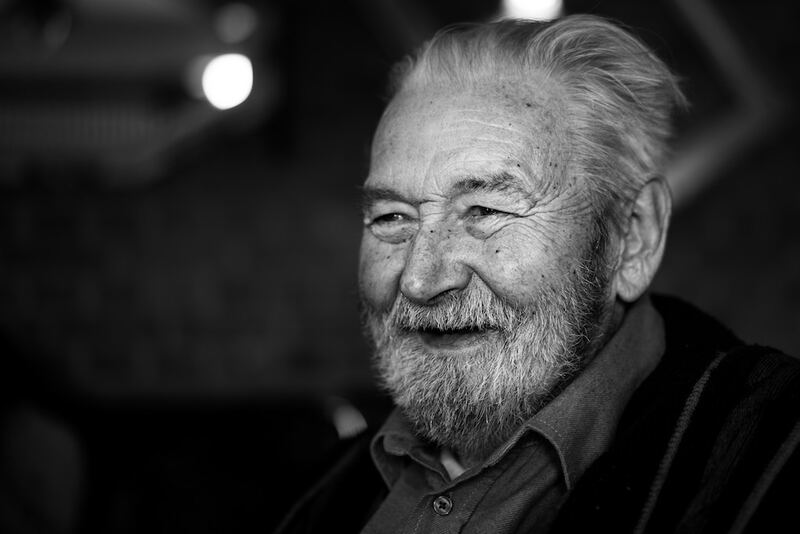 Here’s Gaiam’s list of some of the real health benefits of laughter. There are more, but this is a good start for incentive to add laughter to your wellness routine. Ignore the title of this article; I love the way Barrie describes her personal experiences with life events. It’s a fun read, and has a lot of insight. I know, I know. Everyone talks about how important it is to get enough water. Well, there’s a good reason for that. For many, however, drinking the amount of water that’s recommended becomes seemingly insurmountable and they end up not drinking nearly as much as they intended. My advice: start drinking more and see how you feel after, say, a week. If you start to see benefits, add some more. Simple. Trying to drink enough water every day when it’s readily available is clearly a First World problem. The link above doesn’t take you to the usual list of benefits of water. It takes you to africa.com’s page describing the global importance of water, including stories of how water saves lives… and lack of it takes them away. We are extremely lucky to have such easy access to water. Let’s use it wisely, and know that our bodies (which are 60% water) cannot thrive without it.